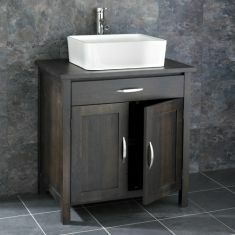 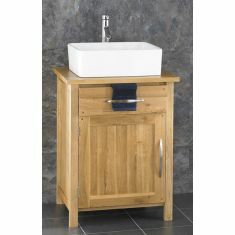 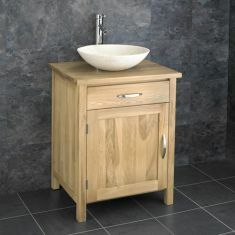 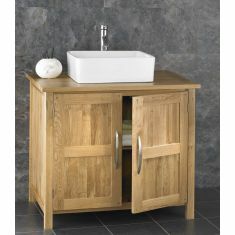 Our OHIO Range of Solid Oak Cabinets gives a traditional twist to a contemporary cabinet. 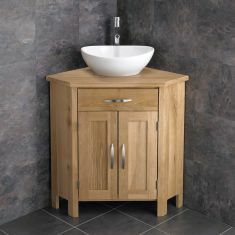 The slightly overhanging top extending outwards shows as a great feature to each individual piece. 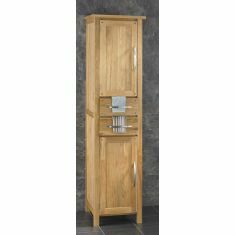 Centre braced doors add to the look. 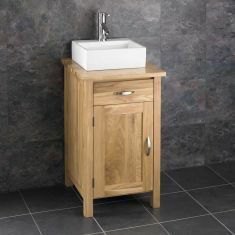 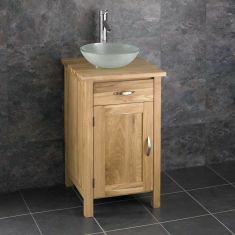 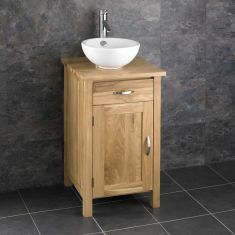 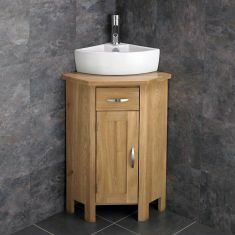 Each cabinet is supplied with a choice of ceramic, glass or stone basin and in varying sizes to cater for en suite and cloakroom bathrooms, all the way up to larger more demanding spaces. 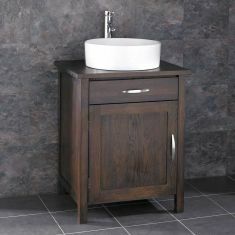 The 45cm square models are perfect for where space is at a premium, topped of with generous sized basins make this size more than enough to cope with the busy demands of a family bathroom. 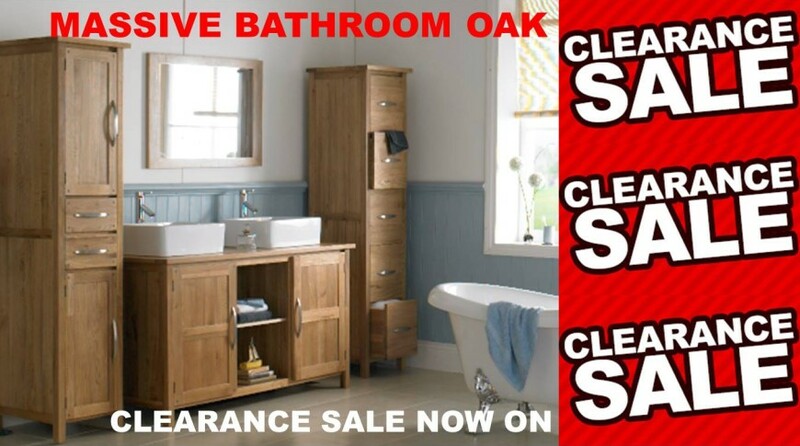 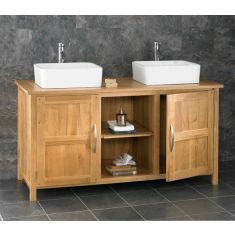 Also available in this traditional OHIO range are perfectly designed corner bathroom cabinets with the smaller single door option, or for medium and larger bathrooms, the double door corner cabinet. 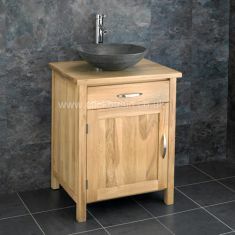 Next day despatch from stock is par for the course of all the items in our OHIO range.